NOTE: On February 13, 2019, an early morning fire destroyed The Red Bar and Piccolo’s Restaurant, the beloved Grayton Beach landmark. We are happy to note that they are in the process of rebuilding. Learn more here. A local institution that’s not to be missed, Grayton Beach‘s Red Bar is quintessential 30A. 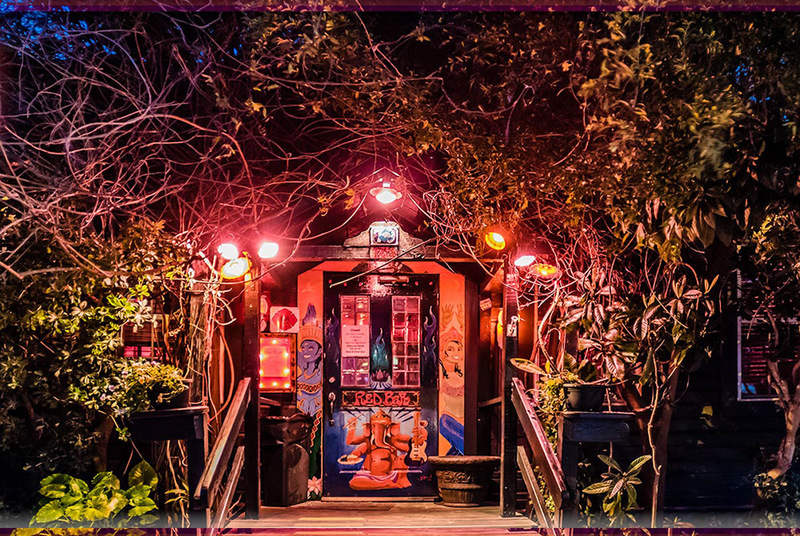 Known for its fun and funky bohemian beach shack vibe, The Red Bar’s a great spot for food, cocktails and live music (usually world-class jazz courtesy of the house band, or the ever-popular and supremely talented Dread Clampitt). Is that a celebrity you see over in the corner? Probably. But we prefer to leave them alone here, so that they can enjoy South Walton‘s peaceful beaches with their families like everyone else. The wait at the Red Bar may be a long one, but it’s always worthwhile. There are currently no special events scheduled at Red Bar. Click here to add an event.